Spring Trout Bite Picking Up! The spring trout bite has been living up to its reputation! This week has been some nice weather and the trout bite has really picked up. 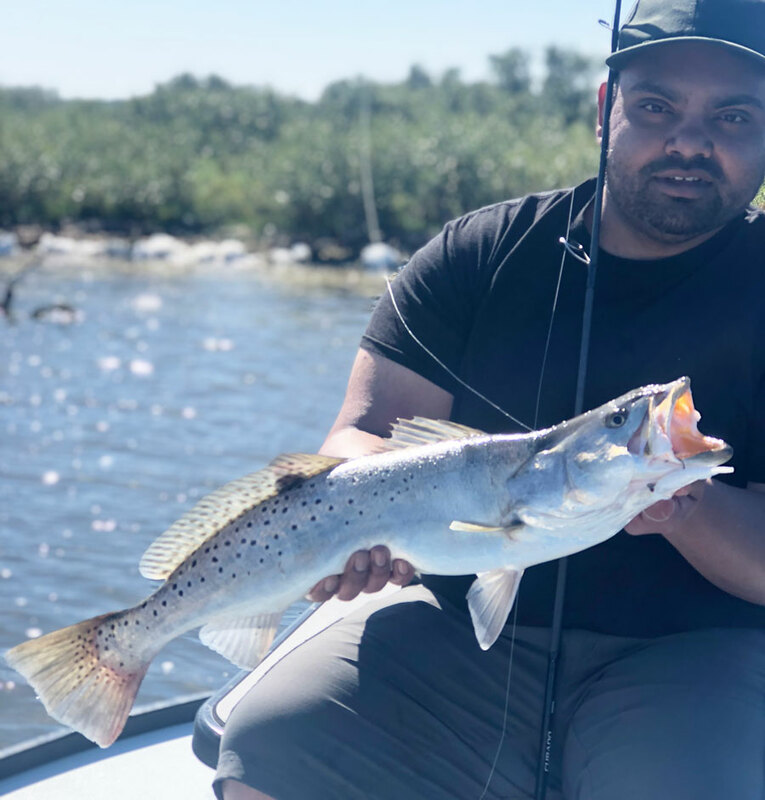 The trout this week have been ranging anywhere from 15 to 25 inches. 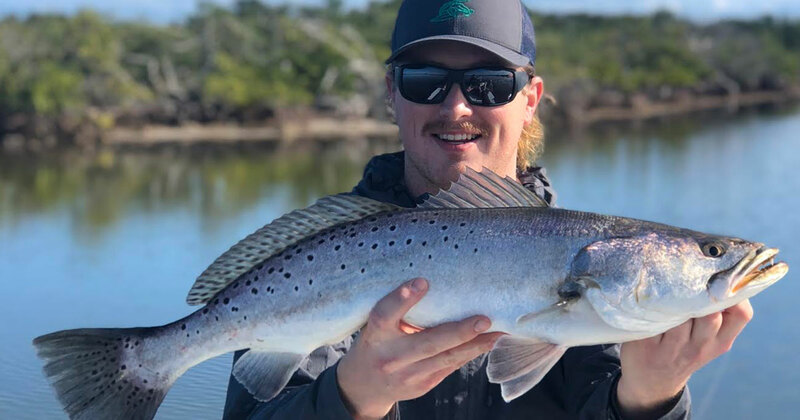 Pretty much every spoil island, drop off, and trough in the Indian and Mosquito lagoon have been holding these toothy critters. 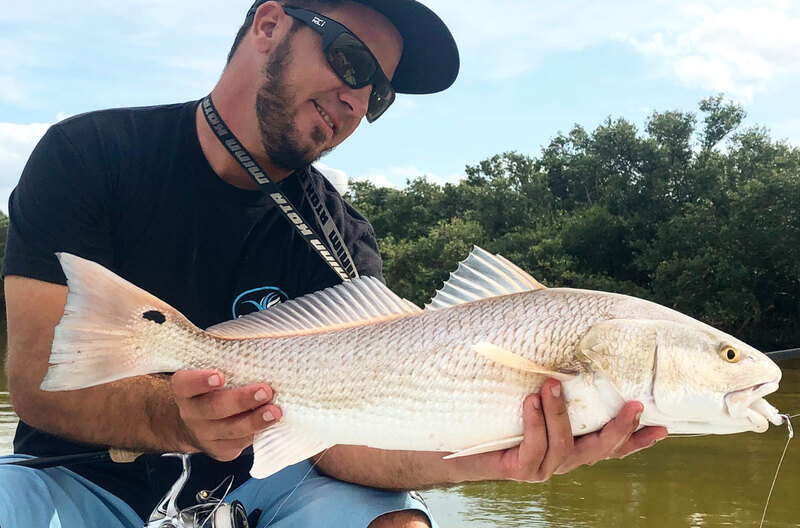 This week has been really good, lots of large drum still roaming the flats and bridges along with large redfish and some nice seatrout as well. This week we managed a few days of slick calm conditions which was just what I hoped for. 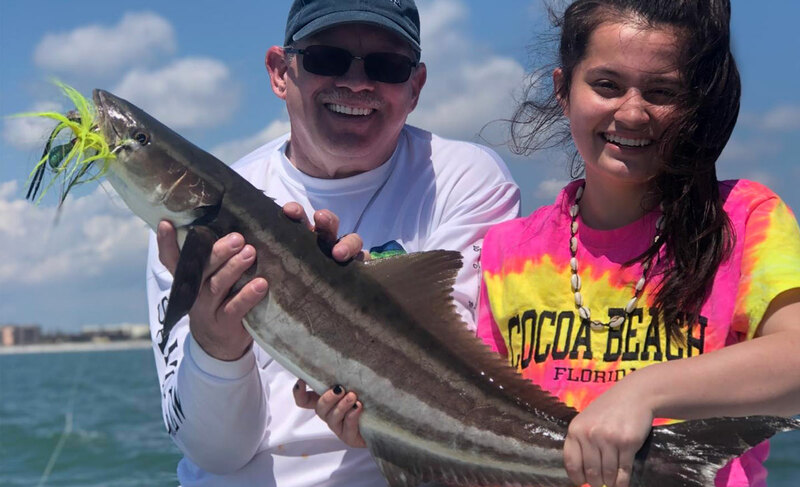 I focused my attention on the northern Indian River Lagoon this week and changed over from spinning to fly fishing, the slick calm conditions made sight fishing ideal. 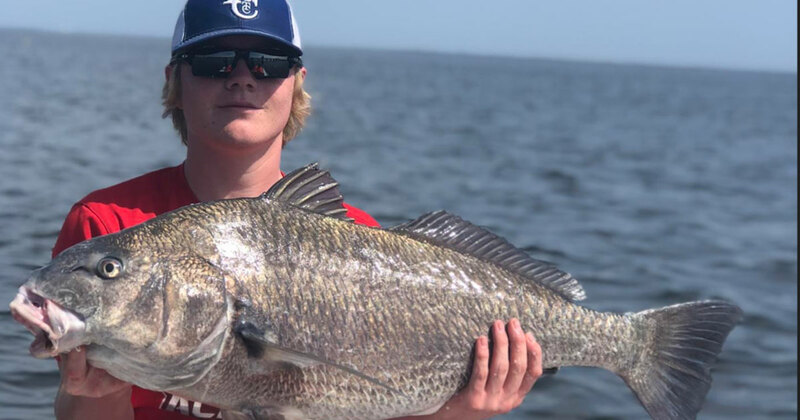 After a few small trout and redfish we decided to go after some larger black drum, most of the fish were between 10 and 20lbs and proved to be a great battle on fly. Windy week of fishing! 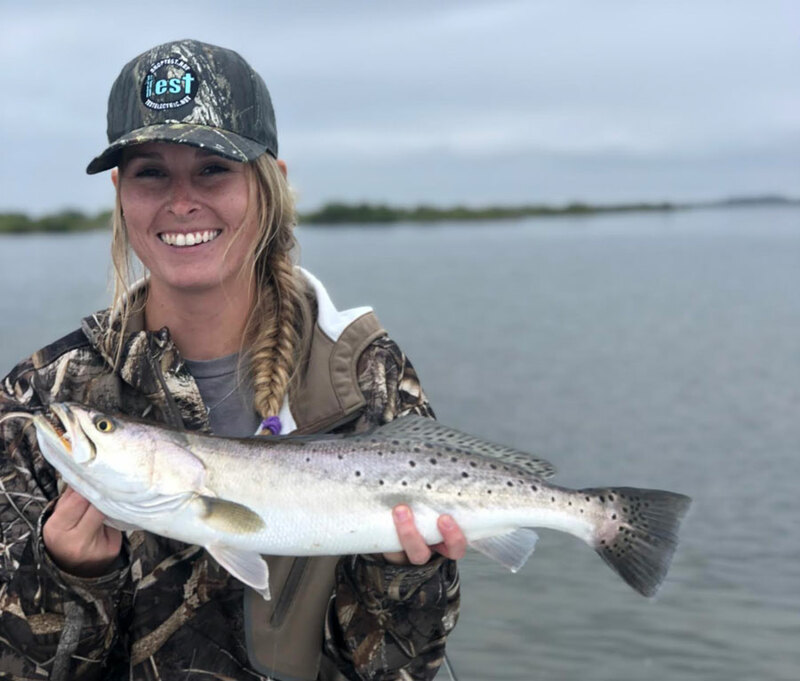 The wind has really picked up this week but the fishing has been pretty good. 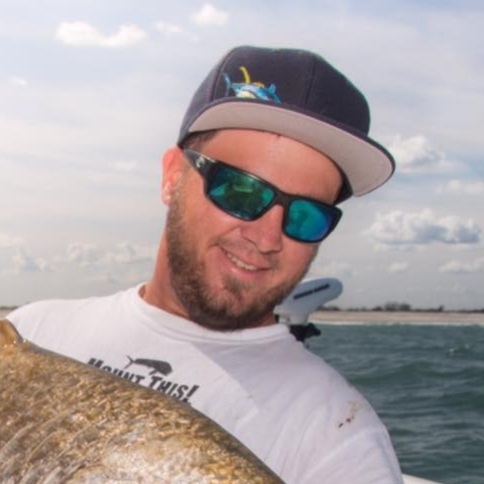 I have shifted most of my fishing around the Indian River and some in Mosquito Lagoon. 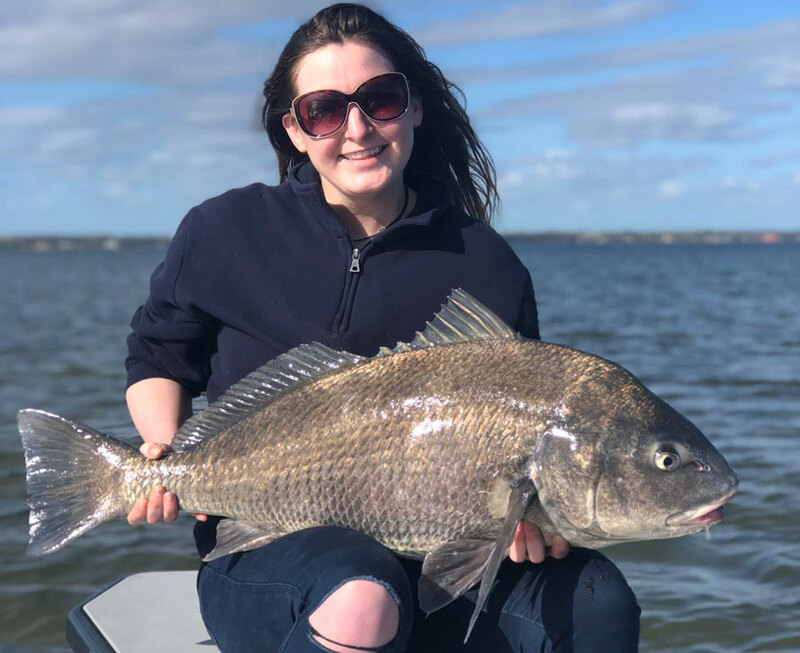 The black drum have made another good appearance around the docks and bridges, a dead stinky shrimp has really been the key. Don’t be scared to let you bait sit in the sun for an hour or two to get some added funk! It’s been a bit of an odd week! It seems as if the weather still can’t make up its mind, after a few warmer weeks we have been experiencing yet another cold snap, hopefully the last one for this year. This week has been somewhat tough but with a little persistence we have still been able to create several good days. Yesterday I hit the water in the most undesirable conditions possible, a stiff north west wind, dropping temperatures and a steady drizzle, but Grayson and I got the itch and had to give it a go. We started on fishing wind blown shorelines looking for any signs of life, the north wind really had the water churned up good and it was difficult to even cast. Tough bite this week! This week has been a big change in the lagoon. Dirtier, higher water conditions made things a bit tough. Although conditions haven’t been ideal we have still been able to get on some good fish. The best advice I can give this week is to fish the bait. 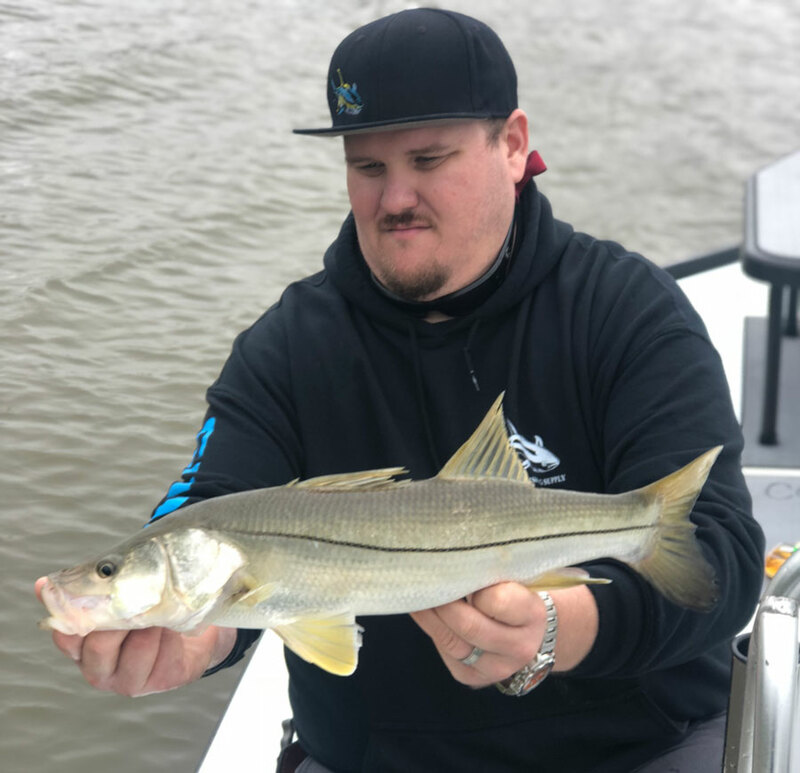 With the warmer temps we are seeing a lot more mullet and finding the bait has been key. What a crazy few weeks we have had! 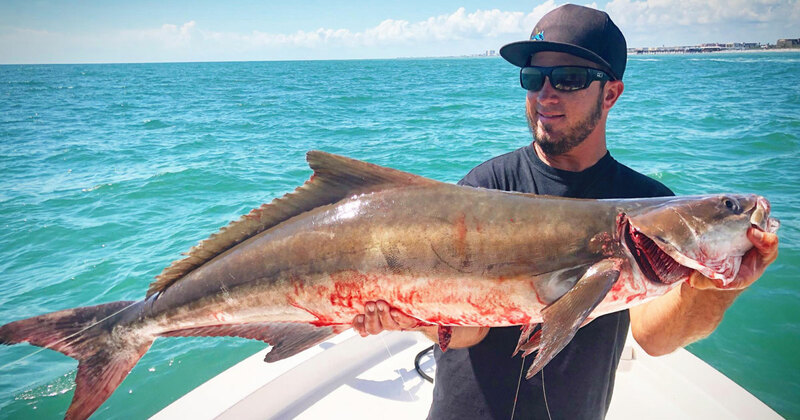 Inshore remains to be the best bet. We have experienced cold and windy to hot and calm, the weather just can’t seem to really make up its mind! 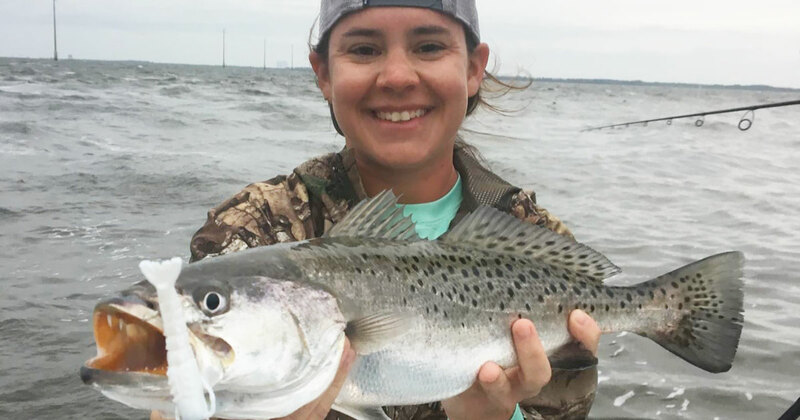 Regardless, the nearshore fishing has been very slow. 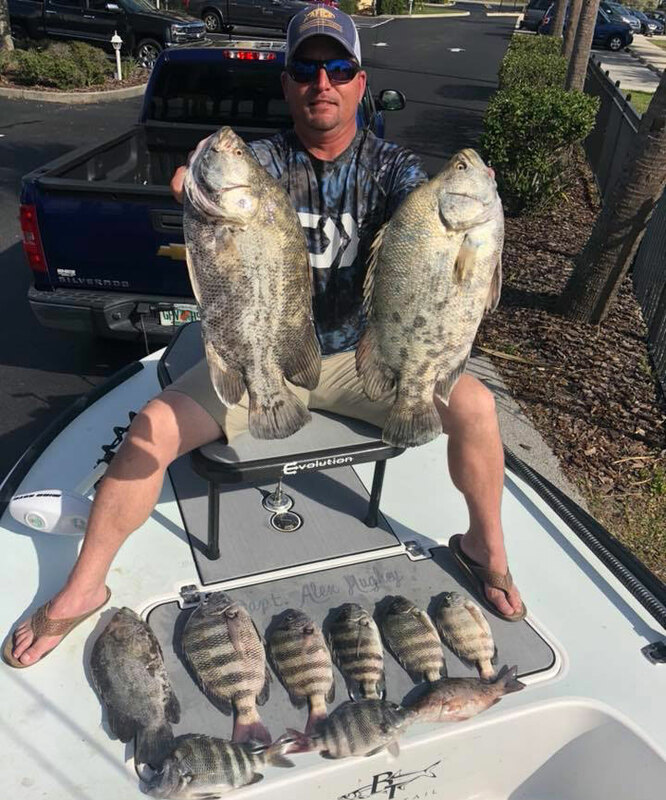 With water temps in the high 50s to low 60s, there hasn’t been much bait or predators other than a few sheepshead and pompano which seem to like the cooler temps. 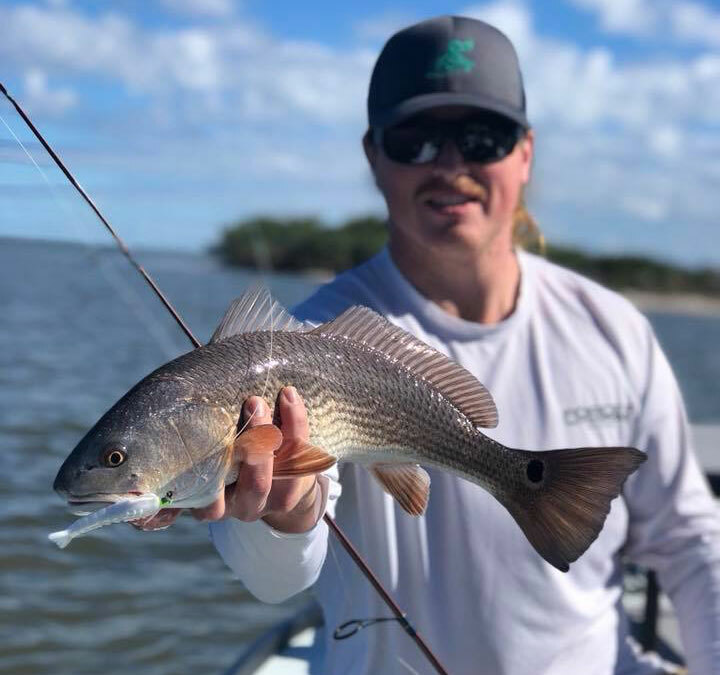 With this being said, the inshore redfish and trout bite really can’t be beat. With this being said, this week my attention will be focused all on inshore fishing. Capt. 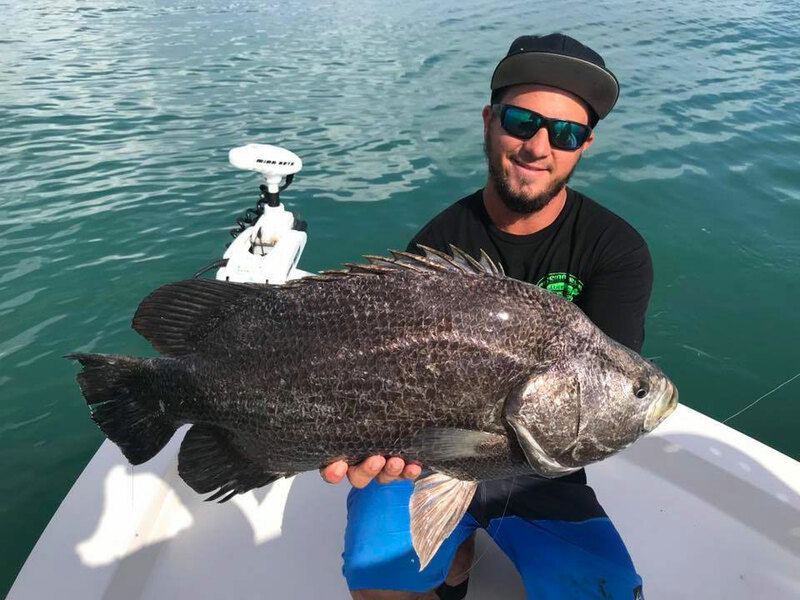 Alex Hughey took a day off from guiding clients to treat himself to some tripletail.